The former governor of Lagos State and the National Leader of Action Congress of Nigeria, Bola Tinubu, has denied attending an exclusive meeting with President Goodluck Jonathan in Lagos over the weekend. 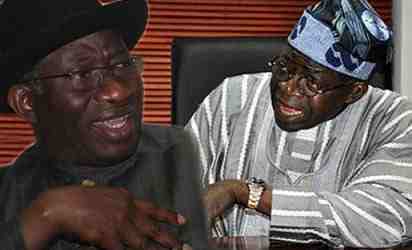 On reacting to the issue of terrorism, Tinubu however suggested there was a need for the leaders to meet. “This is the time to get together to develop ideas that can help the nation as a whole. The matter of security should be less politicised and advice should be solicited in good faith. If ideas are solicited in good faith, one would offer them,’’ he said. The ex-governor said the Boko Haram problem, was reaching a dimension where Nigerians could not afford to ignore it or sleep with their two eyes closed. He believed President Jonathan should be the first person to commence the consultation with the people and must not politicise this problem, the Punch reports. “Since 1999, the Peoples Democratic Party (PDP) has been ruling this country; they claim to have the wisdom and the apparatus to govern it. But each time they react to this question of national security, they have been blaming one political party or the other. That is passing the buck,’’ he said. The News Agency of Nigeria reports that the ACN chieftain was on his way to Benin, to visit Edo State Governor Adams Oshiomhole, following the accident involving the governor’s convoy where three journalists were reportedly killed.